So, you've made the leap into the food truck business and you have your brand-spanking-new-shiny food truck and you are ready to hit the road and sell your amazing food to the public. According to IBIS World data, the food truck industry had 870 million dollars in revenue in 2016. So, kudos to you for making the leap! As successful as it has become, it is also very stressful. Trucks break down, regulations get tougher and people are unpredictable. This is why you must have some solid marketing strategies to pull out when the going gets tough. Below, you will find 5 marketing strategies that can get you through a pinch for your food truck start up. The common thread through all of these is basic... Be Creative. Being that your location changes on a regular basis, you need a way to reach your audience to let them know where they can get some of your mouth-watering food. Some ways to capture information is to have them follow you on Twitter, have them join your e-club or follow you on Facebook or Instagram. Save money and eliminate the marketing you really don't need. Everyone loves a deal they can't pass up. It can help sway someone's decision on wether to hunt down your food truck or just go to the local sandwich shop down the way. The offer will really depend on what kind of food you sell. If you are selling tacos, maybe it is a buy one get two free for the first 50 customers of the day. Maybe they don't want to buy your sandwiches today, but they do love your food. Be sure to make it easy for patrons to book you for special events like weddings and reunions. You can also be sure to open up the options of online ordering and delivery like uber eats. Be sure to shout out from the mountain tops when a line is wrapping around 4 blocks just to get a piece of your food truck! This creates buzz and makes other people want to come. This can be done using social media since it is the quickest way to spread the word. Also, be sure to announce things going on with you and your employees and the truck. Your patrons will want to hear from you. You can even send out press releases to get published in the local and national press outlets. This is a perfect marketing technique to get the word out fast about your awesome food truck. There is a reason why they are your number one fans... they love your food! So give them some fun perks, a free drink or an upgraded side order to show them your appreciation. In the end, they are the ones that are going to keep you afloat. You can chase after the new clients all you want, but if your base clientele is taken care of, they will spread the good word for you. Here are 5 marketing strategies that can give you a boost when the going gets tough. 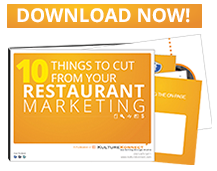 Be sure to always put marketing as your number one focus, because it really doesn't matter how good your food is if nobody knows about it. Spread the word and invite them in. Cheers! 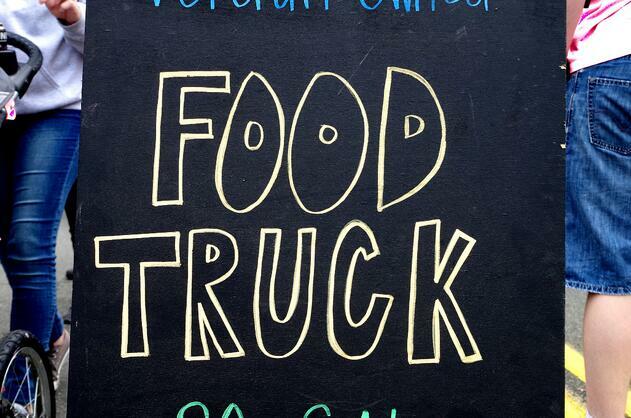 Are you expanding your food truck business and lacking the time to execute your marketing on your own? With over 12 years of experience we can help! Contact us today!